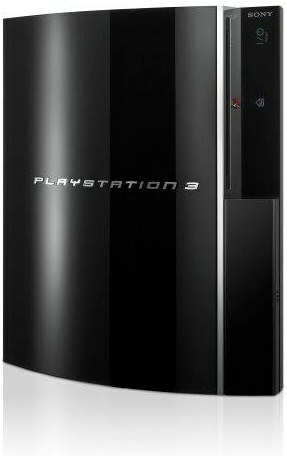 I own a Sony Playstation 3, model CECHK (i.e. Fat model with NOR flash memory), region 04 (i.e. Europe / Middle East / Africa) with date code 7D (i.e manufactured during the last quarter of 2007). We use it to play games as well as a media center. It’s fully upgraded to the latest Sony firmware (i.e. 4.11). I would like to get an E3 Flasher and install it properly in my PS3 and I don’t want to do it myself. Anyone provides this kind of installation service in Mauritius? Feel free to contact me on 493-9394 or avinash AT noulakaz DOT net. An update: Strictly speaking, I don’t need an E3 Flasher. I only want to downgrade my 4.11 firmware to 3.55 so that I can use homebrew applications like Multiman. Who does this in Mauritius? I’m not sure they provide the service but you could check MediaSpace (Gallerie Evershine Rose Hill or opposite Telecom Tower in Port Louis). I know they sell the True Blue dongle (which enables homebrew and 3.60+ games to run on 3.55). Recently upgraded my PS3 to 4.11 because of PSN. Do you use something like Multiman yourself? VCD Palace, first floor at Manhattan Curepipe does it. Shouldn’t cost much either. They usually roll back OS version so that you can get hacked games on it, but i guess it would work for you too. Just for your inform you will not be able to rollback, please also note that sony is watching you .Stop looking for illegal. And for sure you’ll lose PSN if you downgrade to cfw3.55! (Widely used stable version to install homebrews) and also the ability to play newer games (untill eboots come out). But again do ask the 2 places mentioned above; I may also add ‘OneOone Multimedia, Medine Mews Block B, Chaussee Street, Port Louis. Tel: 2110955’. TrueBlue does offer a major advantage of being able to play v3.6+ games but again you won’t be able to play on PSN and you need to wait each game’s specific patch as far I remember. Didn’t even know they were selling it here! The reason why I want to rollback to 3.55 is not to play pirated games but more about the homebrew features (like I’m doing on my Wii for instance). Thanks! I’ll give them a ring. I’ll probably get a TrueBlue dongle if I play a lot of games but, as I mentioned above, I am not a gamer. I’m a hacker. Hello, I just wanted to know how much does the true blue dongle cost at MediaSpace? My firmware got updated to 4.53, do you know a place where I can rollback to my old custom firmware. I would like to know too. Do you think that losing access to the PS Network is that bad? i have a ps3 slim model:cech-4204a , version :4.60 i have to know can it be modify or not.